Ooook.. After spending several hours yesterday installing all that horrid crap on that equally horrid OS, I finally managed to build something into .NETNative. That's an experience I don't want to repeat. Ever. 1) You pretty much follow instructions by MS. Install VS2013 on Win8.1, install Visual Studio 2013 Update 2 RC, install .NETNative package kindly provided by JeRRy. 2) Open or create project for Windows Store app. 3) VS2013 will bug you to get Developers licence. Just hit Cancel, you don't need it for testing. 4) Right-click project and select "Enable for .NET Native"
5) Lots of magic will happen in the background, and nice MHT document will open and describe next 2 steps. 6) Select solution, in properties select correct configuration. "AnyCPU" won't do, you need either ARM or X64. 7) Then select project, and in Build properties for this configuration enable "Compile with .NET Native" toolchain. 1) Once you've set up configurations properly, run Build as usual. .NET Native Build starting: Several compilation stages will occur. Please be patient as this may take several minutes. Yes, it takes 2.5 minutes to build app that does absolutely nothing. I tested simple SplashScreenApp from official MS code samples. EDIT 2x: Typos. Lots of them. I can't type today. I won't discuss the design beauty or technical details ! I will just quote some parts of their EULA ..
a Peer-to-Peer Network using an UTP cable. This is NOT a reverse engineering tutorial. 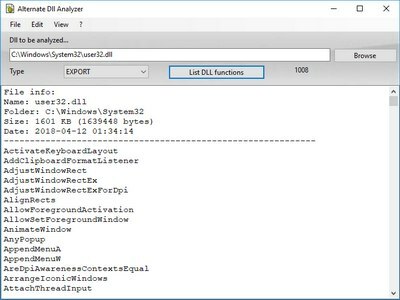 Opensource flash SWF decompiler and editor. Extract resources, convert SWF to FLA, edit ActionScript, replace images, sounds, texts or fonts. Various output formats available. Works with Java on Windows, Linux or MacOS. // Note: Obfuscators that are hacking the JIT depend on this method having __stdcall calling convention. Equally important is to understand that both CoreCLR and Desktop CLR (part of the .NET Framework) are built from the same source code and this repository contains a subset of that source code - targeted to build CoreCLR. It seems pretty sure most of the code is identical to desktop CLR. #22745 Any problems with the new style ? we can't disappoint kao and CodeCracker in one day ! I fixed the code highlighting for both styles and now you can use the old one. Don't waste your weekends on mental plagues like Facebook or WhatsApp ! have fun reading those topics. I packed the latest topics in 3 MHTML files. use FireFox to open this kind of files, you will need a small addin, or simply browse the BLOG online ! As you may noticed I am retired from SnD. I have a lot of things to sort in my life. I will do less reversing from now. Lately I am ready to die for the ecology! My message will be: save the nature. Main topic: http://msdn.microsof...io/dotnetnative (download link inside, might require registration).